↑MusicMakers Hacklab Finale Performance at Nusasonic Festival in Yogyakarta, Indonesia. October 2018. Photo by Swandi Ranadila. The MusicMakers Hacklab is a performance laboratory that aims to invent tools and strategies for improvised play. This year, we traveled to Indonesia to explore play ecology and models for ensemble; now we return to Berlin to create a space for performance-making. If Persistence suggests survival, then adaptation is the mechanism by which we can deal with adversity, become resourceful, and make something new by responding to the conditions around us. 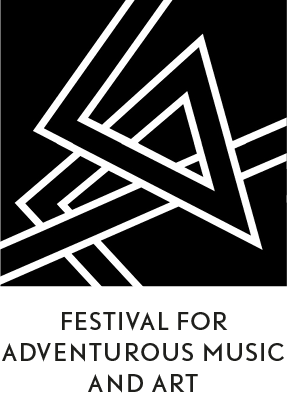 We invite artists to work together to make new and unplanned collaborative performances on this theme of adaptation. How can we work together to generate rather than compete for resources? How can music be a speculative medium for sustainability at a time when we face now-inevitable shifts in the world's politics and climate? Can we imagine interactions with one another that propagate rather than consume? The Hacklab is a place for collaboration and skill sharing. Singers and carpenters, poets and programmers, dancers and electrical engineers, architects and conductors – and anyone interested in attempting together what is inconceivable alone – are welcome to apply. In a spirit of sharing and community, the Hacklab will be open to walk-ins from both hackers and the general public. A series of Hacklab Input talks will also be held during the week, providing inspiration for Hacklab fellows and the public. We’ll have a week together to explore and invent, culminating in a live performance at HAU Hebbel am Ufer (HAU2) on Sunday 3 February. Andreas Siagian is an interdisciplinary artist interested in creative communities, alternative education, DIY/DIWO (do it with others) culture, and interdisciplinary collaboration. He has worked with community-based initiatives and created a wide variety of installations, workshops, events, and festivals in Indonesia since 2004. 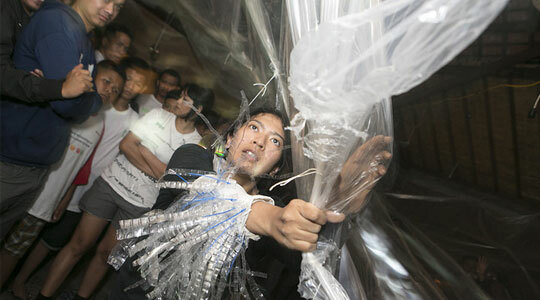 Lintang Radittya is a self-taught instrument builder and sound artist/performer based in Yogyakarta, Indonesia. His current interests include DIY analogue electronics; the relationship between sound and space; randomness; javanese futurism; and the meeting points of electroacoustic, noise, and experimental music. He has taught workshops, created exhibitions, performed live, given lectures, and created unique instruments and installations since 2007, working across Asia, Europe, and Australia. Peter Kirn is an audiovisual artist, technologist, and journalist. He is the editor of CDM (createdigitalmusic.com), and co-creator of the open source MeeBlip hardware synthesizer. His work ranges from teaching creative coding with open tools to making experimental live techno, and as a writer has been a hub of discussion of trends in live and interactive visuals, and the design of new music technologies. Presented with CDM, Nusasonic, and the SHAPE platform, which is co-funded by the Creative Europe programme of the European Union. Funded by the Senate Department of Culture and Europe, and Initiative Musik.